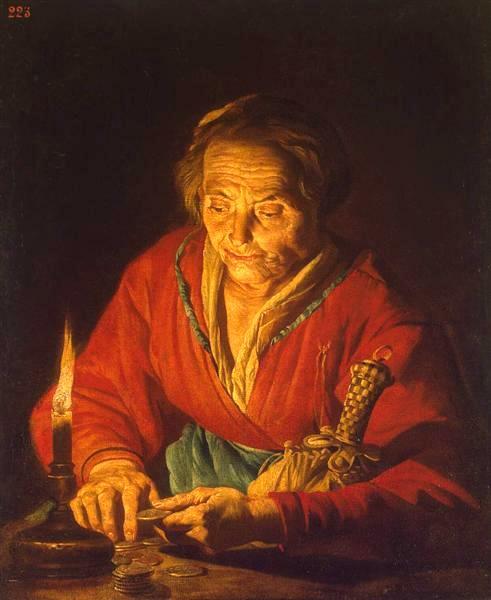 “Old Woman with Candle,” Matthais Stom, WikiArt. Battle-axe protecting wife and child. 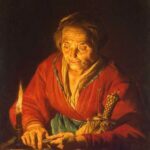 Legends revealed,” I replied, fire rekindling. Down-swallowed in one soul-shivering gulp. 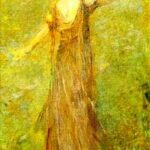 “June,” Thomas Dewing, 1920, WikiArt. Ordered, her captivating gaze fixed on me. Brithe has returned for multi-part mystical poem.